If you have recently switched to Windows 8 (official release date to consumers is October 26) or going to migrate in next few months, you’ll notice a significant change when you delete a folder/file. Microsoft disabled the delete confirmation box and whenever you delete a file and they’ll automatically go to Recycle Bin without any confirmation. And here are simple steps to enable delete confirmation dialog in Windows 8. Now, next time when you try and delete some folder or file, you will be asked if you really want to delete them and move to Recycle Bin. 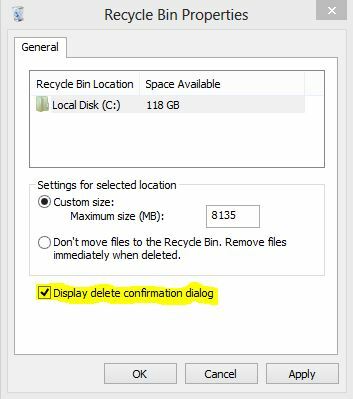 Note that even if you select or not select the above mentioned option, deleted files will not permanently delete, but will move to Recycle Bin in either of the cases. 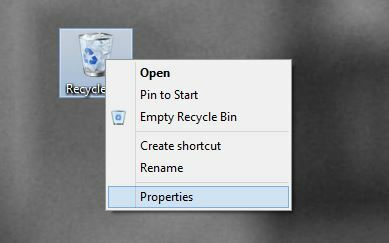 If you want to to delete something without sending it to Recycle bin you can always use the Shift + Delete keyboard combination.